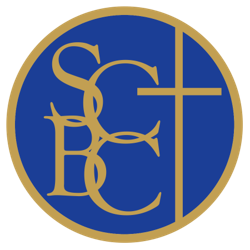 All SCBC events MUST be pre-approved by the ministry Diaconate coverage with a final approval by Pastor via a Ministry Event Form (MEF). If you are a Servant Leader and your ministry has an event on the standing dates calendar; you are still required to fill out a MEF. All forms MUST be approved before it can be presented at Presidents Council and placed on the church calendar. Presidents Council will NOT add an event without an approved MEF. There should be no advertisements (flyers in bulletin) or announcements made about an event without the proper approval by Diaconate Coverage and Pastor via MEF. Please upload any flyers or advertisement associated with your event. Should your event include soliciting members for funds, please provide a detailed description of how the money will be used. Once an event is approved you will receive an email confirmation from the Pastor's Admin. Please check all that apply and specify below. Please specify how funds will be used.